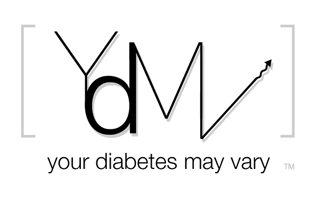 Your Diabetes May Vary: What is Your Goal? There it is a bullseye at the center of a Type 1 parent’s universe. It is the blood glucose “target.” What yours 95, 110, 100? Funny thing about Type 1 is how it makes life so quantifiable. Poke your kid with a shard of steel squeeze out some blood and in five seconds you get feedback on your parenting skills. Hit the goal and you are doing great. Oh, that parenting would be so easy - it's not. And the goal isn’t a number. Everyone who has listened to Cosby knows that as parents our goal is to get the kids out of the house. Yeah, it is a joke, but it is funny because it is true. The target is their own apartment supported by their own income. It’s not that we don’t love’m to the contrary we love them so much that we want what is best for them. Coincidentally what is best for them (to move out of our house) is good for us too. It's just that nobody told Type 1 the plan. It will try to confuse you into not focusing on the goal. It wants you to see numbers and find reasons not to trust. Type 1 wants us to be clingy and over protective to withhold responsibility. It tells us this is for the kids own good, until they grow up. Life doen't to happen instantaneously. Not that that wouldn’t be nice; all, sweet little kid then BAMB! Hit'm with some Emril essence and instant adult. No issues in between. But they have to grow into being an adult. We need them to grow into it so we know they can handle the responsibility. What the heck parents need kids to grow into their adult lives so we know WE can handle giving up the responsibility. For our kids to step into their lives we need to step back. Sadly part of our type 1 kids' adult lives will be diabetes management. Yeah a cure would be cool but my bet is our kids will grow up and move out before there is a cure. So we need to help them get ready and our part of that is growing into the idea of letting go. Giving responsibility and trust is as important for us as it is for them. We have to get past our 'need' to look over their shoulder and read the meter - literally then figuratively. They will never get out if we don't let go. We all made type 1 mistakes. Making them was a big step in our growth as type 1 parents. Remember that first missed shot? It was a good thing. Didn't feel like it at the time but it was. It meant we were getting past the shock of diagnosis and getting back to some part of life. A little. We kicked ourselves for it too. We saw progress as failure. Don't do the same thing with letting go, don't make the mistake of seeing progress as failure. Our teens need the same process of growing we did. We need to see their taking responsibility and forgetting as progress not failure. To do that we need to see far more successes than slip ups. We may need to create success situations as well as not yell at slip ups. Create success situations like, "I want you to take care of you diabetes this evening when we are out, this weekend, this week, this month, until your next check up. How about you take these prescriptions to the pharmacy, call in you set order, down load your meter, set your basals and take out the trash." Hey when they are living by themselves the trash will still need to be taken out. It is about life. It isn't easy. It takes a lot longer than a blood check. It is not about a number. Unless that number is their apartment unit. It was not until I had children of my own that I truly started to recognize (and appreciate) all that my parents did for me. Throw my T1 into the mix and the appreciation is magnified a million fold. That is a great post. I am the father of a type 1 son who is headed to high school this fall. We have always tried to involve him in management but I have been giving him more responsibility for his management (2 1/2 years from diagnosis) lately and it is hard to let go and let him manage. I know it is necessary but it is still hard. I find myself thinking as a pancreas and not as a father who needs to let his child grow up. Thanks for the reminder. Always great to hear from another dad who is involved with the T1 care. Too many are not.